Nature provides us with all essential nutrients, spices, and herbs to take advantage from. It depends on how we utilize the blessing to keep ourselves healthy and fit. There are numerous herbs and spices that are used for treating health problems and it is usually possible to see their benefits. It is believed that herbs and spices are the natural way of treating diseases to an extent any medicine hardly can. It is possible to prevent diseases such as hypertension and diabetes if we add those in our daily diet. The safest way to treat any health disorder if often with the natural herbs and spices that nature provides us with. What is diabetes? How can we prevent from becoming diabetic in the future? Can you stay away from diabetes if it is in your family history? All these questions are usually wandered about by a common man nowadays as we are threatened by various health issues. Health issues only arise as a result of poor lifestyle and dietary habits. Such diseases can often be prevented if we take the right steps on the right time. So, what is that can be done in order to prevent diabetes from affecting your life? Have you ever thought about spices that can help you fight a disorder in an all natural way? No? That’s not a problem because it is still not too late and you are in the right place to learn more about health. 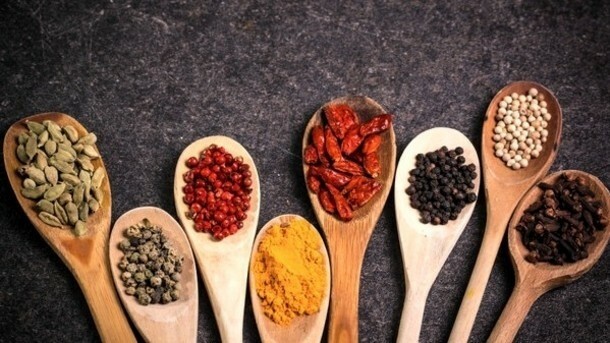 There are various spices for treating different health disorders but some have unique properties. Cinnamon is the world famous spice known for its various benefits for health. It also has a wonderful aroma and tastes delightful. Cinnamon is used in different cuisines to give its special taste and aroma to foods for flavoring. It is also used in baking, asian curries, rice, and desserts. But only a few people ever consider its beneficial properties for health and use it for that purpose. Cinnamon is widely used to lower blood sugar levels naturally. It should be a part of daily diet of you have a family history of heart disease or diabetes. Diabetes is often linked to blood pressure as the functions work simultaneously in order to keep every part working. Diabetes has become a world wide health problem for most people even in early age as children now have type 2 diabetes mainly because of their bad lifestyle habits. Blood sugar levels raise when glucose from food is not utilized for energy and therefore goes into the bloodstream to raise the levels. This is the malfunctioning of pancreas which unfortunately results in diabetes type 1 later if not controlled earlier. Cinnamon helps in lowering the blood sugar levels effectively and naturally. Cinnamon for weight loss is a wonderful remedy to try. It is not difficult to add cinnamon to your diet as it already is used in our routine. But it is better to take it with warm water first thing in the morning. Basil has a unique fragrance and can be used in salads and soups. It is a specific herb known to lower blood sugar levels. Bilberry is superior to blueberry as it is blue throughout. It is high in antioxidants, and fights diabetes. It is known to strengthen heart muscles and lowers inflammation. It also loses blood fats so as to work wonders for the body. Chamomile is a herb known to make tea for its soothing properties. Chamomile is known to lower blood sugar levels by shifting sugar into liver as storage. It prevents diabetic complications and lowers blood sugar levels effectively. Cumin is a spice that goes well with various dishes in different cuisines. It is often used with lentils and rice to give a unique aroma and taste. Cumin is effective for lowering blood sugar levels and cholesterol. This wonderful herb is a dark leafy green which has numerous benefits. It is known to lower blood pressure levels and heal your liver. Moreover, dandelion also helps with its cleansing action and causes weight loss. 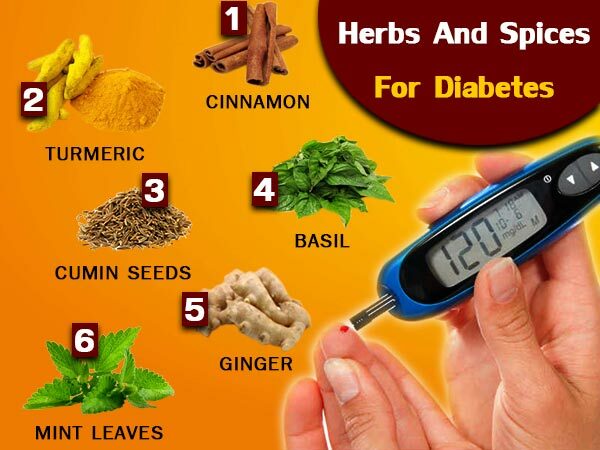 All the properties are beneficial for diabetic patients. It was initially used for the purpose of women being able to produce more milk. And now it is worldly recognised as an agent to fight diabetes. It has been proved effective in bringing down the blood sugar levels with the help of 70 chemicals it contains. The vegetable and its seeds contains chemicals that fight diabetes effectively. They also block inflammatory agents in the body that help in fighting cancer. It also has various benefits like freshening the breath and cleaning teeth. So, overall fennel provides you with several benefits which you will certainly never regret. Garlic is heart friendly as it is good for lowering lipids in the body. It also fights against cancer and diabetes. Garlic is well known for its anti inflammatory properties like onions and shallots. Likewise garlic, ginger is known for its healing properties as it fights inflammation in the body. It helps with weight loss and heart related issues. It maintains a healthy lipid profile and also reduces can blood sugar levels significantly. Ginger is also beneficial for men in several ways. Learn more about ginger to avail all benefits. Peppermint is known for its strong flavor. It is used for flavoring in foods and teas. It is also known as a digestion aid as it relaxes the muscles. It contains antioxidants that help fight diabetes, heart disease, and cancer. Rosemary is known to treat heart disorder as it acts as a tonic. It effectively fights cancer and inflammation in the body. You can always use rosemary for its beneficial properties while preparing meals. Sage is known to have a strong taste and aroma which can be used in stews. Sage is often combines with honey for its anti germ power. Stevia is a sweetener and it may be surprise to know that it does not have detrimental effects on diabetics. Instead, stevia has positive effects for balancing blood sugar and insulin levels. Tarragon is known to decease insulin resistance which will eventually balance blood sugar levels. You may have heard of the famous tarragon steak which is spiced with this beneficial herb. So, go for such dishes in order to make use of its benefits. Thyme is known for its unique aroma and is used in many dishes. It has inflammation fighting properties to boost the immune system. Lastly, but not the least, turmeric is a famous healing agent used mostly in indian cuisine. It serves as an ideal spice for diabetic patients as it protects the heart, reduces weight, and fights inflammation. Daily consumption of turmeric has been studied to show significant reduction in blood sugar levels. Therefore, it is a highly recommended spice for all those fighting with diabetes. Natural spices can work wonders for your health if you use them in the right way. They can help you treat and prevent chronic diseases such as Diabetes Congestive Heart Failure, and Metabollic Syndrome as these all are interlinked. You may read more about each of the diseases and know more about their symptoms and treatment methods. 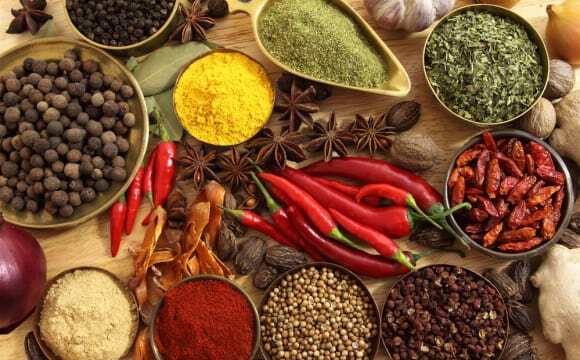 However, the spices mentioned above will work positively for your health, it is better to consult a specialist if you suffer from any particular condition.